Almost a year ago I posted about letting go. 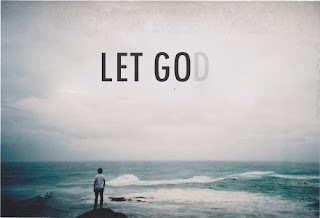 Letting go of those things we cling to on this earth and clinging to God, with both hands. This past week, once again, God has been teaching me to 'Let go.' But there's more to it than that. We can let go, sure...but what happens afterwards? All to often it's easy to seek to try and figure out what to do after we 'let go'. Letting go doesn't just mean releasing our hold on something, it means releasing our hold and not worrying about the result. I have spent the past two months searching for answers, trying to figure out what God wanted me to do...I had let go in my mind. 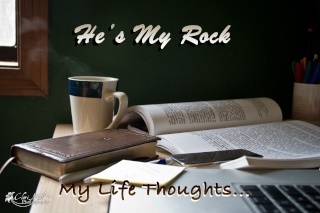 Let go of so many things, but I was trying so hard to figure my life out...I let me focus slip from remembering that Christ is the one in control of my life. Yes, I knew He was in control, but I kept trying to 'help' Him out. God doesn't need our help in figuring our life out. God convicted me that I had been spending too much time in the 'trying to figure out' process rather than the 'serving Him in the moment I was at' and letting Him take control of the rest. The past week has been one of the most amazing weeks of my life. Not because 'good things' have happened or I've done anything special. The hardships of my life are still there...but, by God's grace, I am learning to release my grasp from trying to figure it out myself. And once you do that, the joy that comes from seeking Christ is...amazing. To wake up in the morning, and to be able to smile and say, "today will be a good day because it's a day God has given me" is amazing. To be able to wake up without dreading what the day holds, because you know that with your focus on Christ, you're where He wants you to be. Colossians 3 has been extremely convicting to me lately. Verses 1-3 say, "If then you have been raised with Christ, seek the things that are above, where Christ is, seating at the right hand of God. Set your minds on things that are above, not on things that are on earth. For you have died, and your life is hidden with Christ in God."